From Smoant comes the Cylon 218W TC Mod featuring a modern ergonomic design with the updated and upgrade-able ANT218 V2 Chipset with faster firing response time to 0.015 seconds. Th Cylon Mod was designed with high performance in mind and a power range of 1-218W utilizing dual 18650 (Not Included) batteries. Features multiple vaping mode including: VW / VW Curves / Temp (Ni, Ti, SS) / TCR / TC Curves. With Custom VW/TC Curve mode where you can set the watts and temps at intervals for the first 10 seonds. A 1.3 " color TFT large screen with an easy to use and responsive user interface makes it easy to see all your vaping details including VW mode, TC mode, voltage, dual battery life and resistance values. 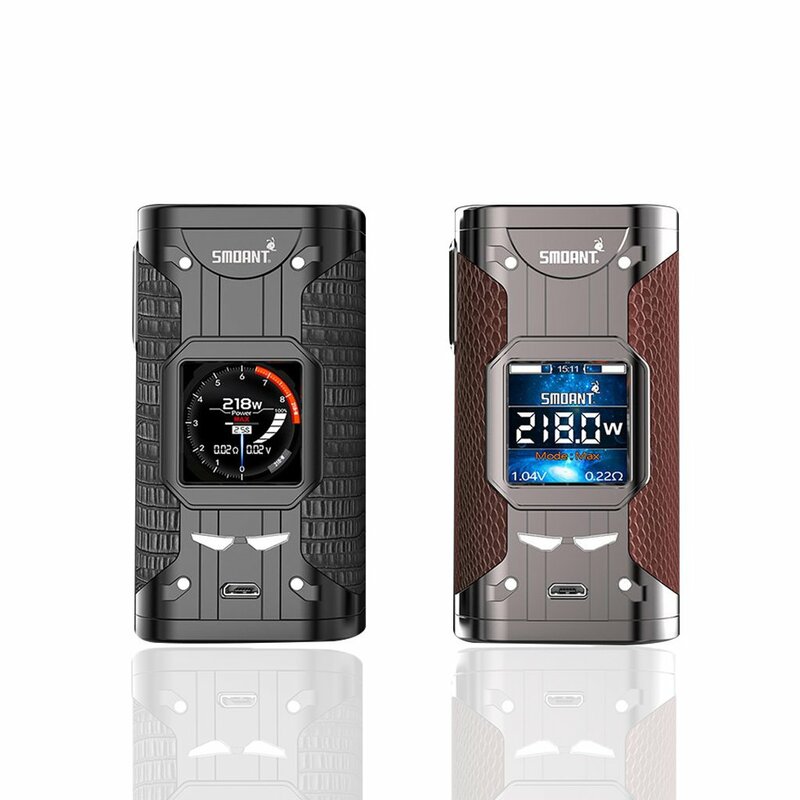 With 2 different menu styles for your personal preference plus customizable wallpapers, the Smoant Cylon 218W TC Mod is a high quality vape platform perfect for vaping styles.